Shout out to all you Sweet Tings! Who's ready to take a trip to the tropics with your lover(s) this Valentine's day? 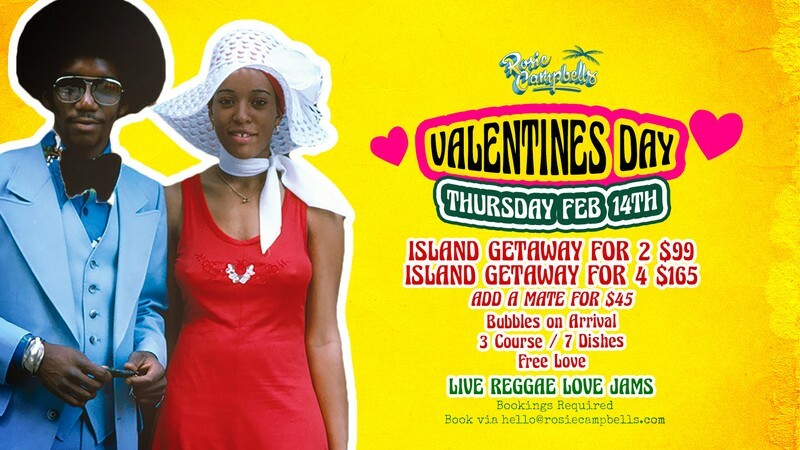 Rosie Campbell's is dishing up the romance with live reggae love songs & a be loved package. Whether it's a Valentine, Galentine or some self-loving singles—we'll greet you with some bubbles & hard hit of passion! All designed to share. (vegetarian option available on request). Bookings/prepayment mandatory for the above. Book your cosy booth via hello@rosiecampbells.com or by calling (02) 9356 4635.